She got her Level 1 certification in 2013 and joined the coaching staff at CrossFit Bartlesville. She loves working with athletes at all levels of fitness and encouraging them to live a healthier, fitter life. “It’s exciting and fulfilling to witness the change in people when they take a proactive role in their health. If I can play some small part in that journey, then I’m happy!” Her desire is to inspire and challenge our members to be stronger, healthier and happier. Kelli has been an athlete all her life, which aided in her passion for CrossFit. Back in 2008, Kelli started doing CrossFit style workouts with the owner, Brian Baker, in his garage. After CrossFit Bartlesville opened in 2011, Kelli moved her workouts from the Baker’s garage over to CFB and immediately fell in love with the comradery of the CrossFit community. When the Bakers approached her about coaching in 2015, she jumped at the opportunity, despite being 6-months pregnant. As a competitor, Kelli loves CrossFit as she believes the sport makes her try harder to get better and stronger every day. As a coach, she loves nothing more than to see the sheer joy on people’s faces when they achieve something they never thought they could do. Kristin graduated from the University of Oklahoma with a Bachelor’s degree in Social Work and a Master’s degree in Human Resources Management. She was a Human Resources Manager at Walmart corporate offices until she had a baby and quit to be a stay at home mom and coach CrossFit. She is currently on the Board of Directors for Bartlesville’s Samaritan Counseling & Growth Center. 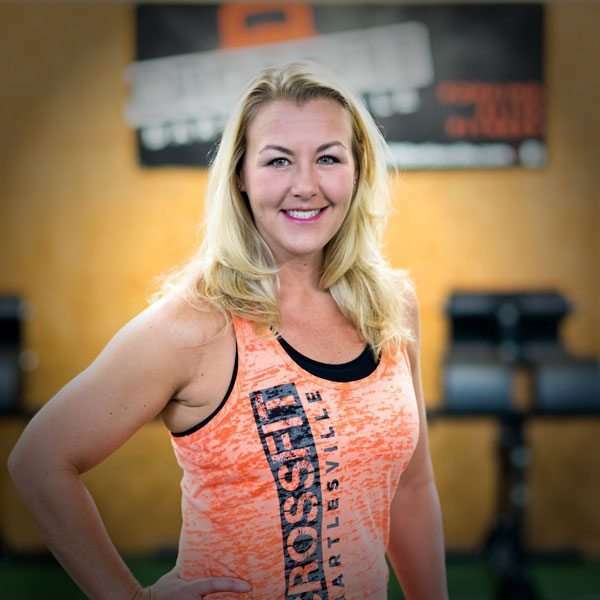 Kristin was a Co-Owner and Coach at Bear State CrossFit in Bentonville, Arkansas for 3 years until her husband’s career brought them back to Bartlesville, Oklahoma where her and her husband both grew up. Kristin has always been very active and loves competing. She started CrossFit in the Summer of 2011 with her husband, Landon, and she has a competitive gymnastics background of 10 years. She fell in love with the varied strength and conditioning program of CrossFit, the continuous challenge that it brings, the great community and the undeniable results. Kristin has a passion for competition, fitness and helping others of all ages to lead healthy lives. I joined CrossFit Bartlesville about 4 yrs ago to stay active during the cool months. I instantly fell in love with the constantly varied workouts. I credit the workouts at CrossFit Bartlesville with helping me complete several full marathons, 1/2 marathons, and numerous 5K runs. The combination of good nutrition & exercise recommended at CrossFit Bartlesville not only helps you as an athlete but will improve your overall health. I love the concept of improving the whole body regardless of age and athletic ability and I want to share that with others. Jared grew up playing team sports and excelled in both basketball and soccer. After graduating from college and experiencing serious burn out doing bodybuilding workouts, he found Crossfit.com. After his first WOD (“Angie”), he was hooked. 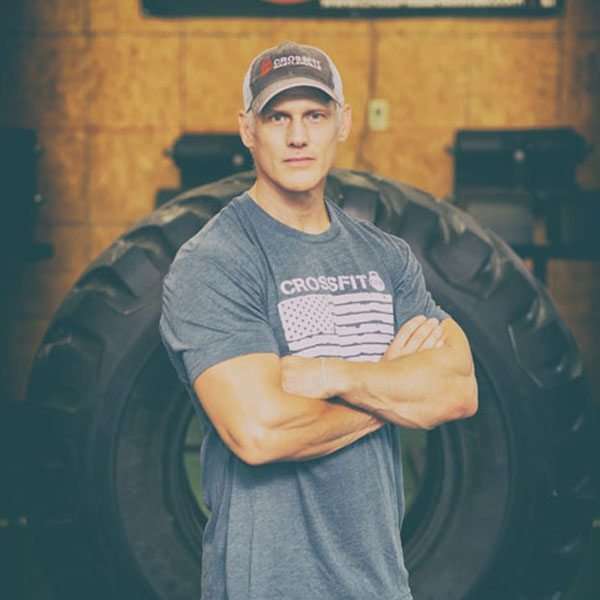 The two elements that most attracted him to Crossfit were the infectious positivity in the community and the emphasis on quantifiable workouts, allowing him to constantly compete with himself. His infatuation with Crossfit led him to pursue a Level 1 Certification in 2012. Since then he has coached at multiple boxes in Texas and Oklahoma. Jared wants to encourage and empower members to enjoy their time in the gym, to celebrate their victories, and to help them tap their potential. Looking for a new Crossfit family in Bartlesville? We would love to have you! !